My medals are housed in a lid of a shoe box which is on a shelf in my closet (close to a folder which has all of my race bibs). Honestly I dont know what to do with all of them. If i hung them all up, I think it would tear the wall down. This is a fairly heavy box. SO What's in this box? Cross Country ribbons from 1998 when I was in high school. 4 JV, and 1 Varsity. - The second place race I remember as the one I was leading the entire time and a girl came from nowhere and out kicked me in the last 200 meters. Race Fail. - The 16th Place Varsity (orange) I remember because I needed 15th place to be All-Conference. Again, Race Fail. 5K age group awards and medals for showing up. - (from left to right) The nitro turkey and RnR Chicago 5k I got for Showing up. 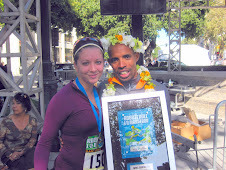 - Hot to Trot, New Years Day 5K, were 2nd AG. - Karhu 5K was 2nd Overall. Half Marathon, 10 Miler, and "novelty medals"
I need to find something better than the box for them. 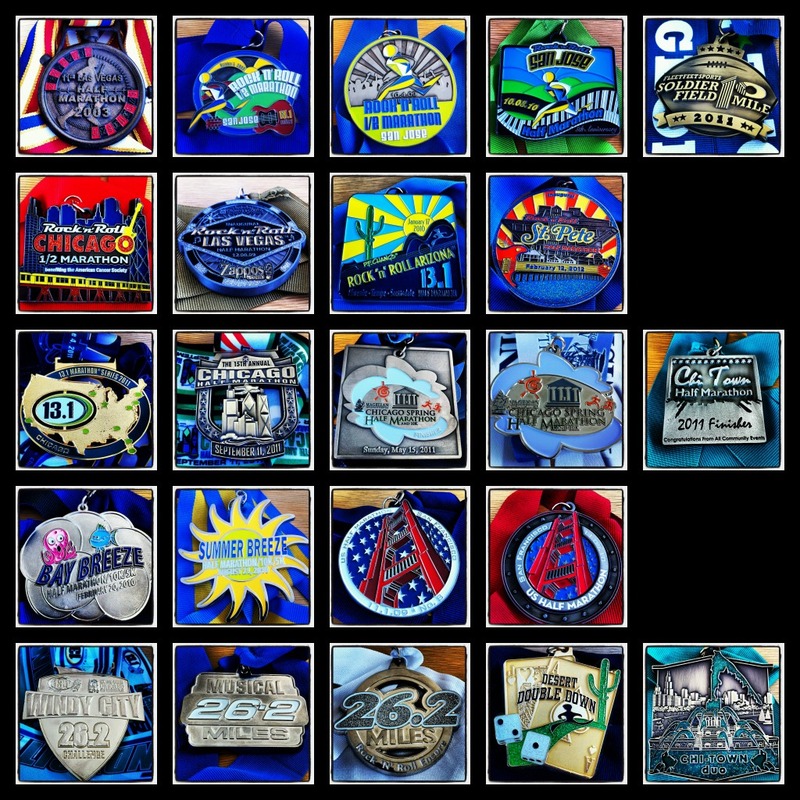 I could tell a story about each of these medals race experiences (retro race recaps??). Or you could build your own with long hooks! My mom made one for me and I LOVE it. I have it at the bottom of my stairs, so I can see them and be inspired every day when I leave my apartment. I would love the retro race recaps! You have run so many races!! 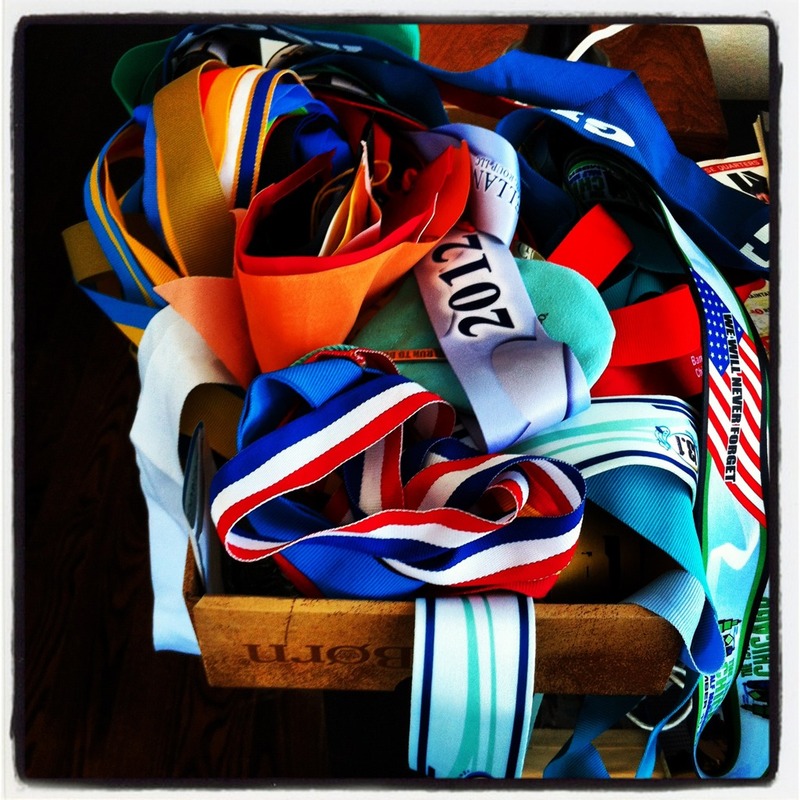 That is a lot of medals and ribbons! Great stories about your high school cross country days, good times. Bummer about getting outsprinted to the line by that girl, and getting 16th place instead of 15th place. As for which medal I like the best, I'll probably go with the Chicago Marathon let's run together one. But they all look pretty cool. Yea, in cross country the highest place I ever got was 4th I think at JV league finals. I was always better at track instead of cross country, lol. Awesome on all the medals and ribbons! 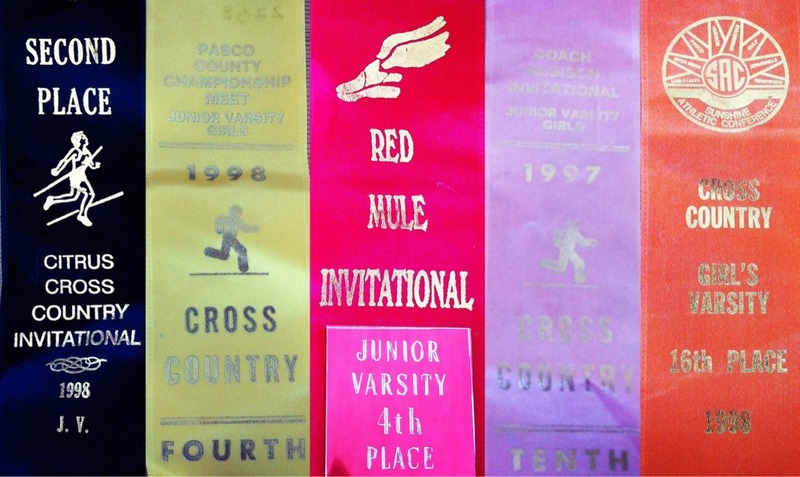 I like the cross country ribbons, bummer that you weren't able to outsprint the girl to the line! The best placing I've ever gotten is 4th in a JV race at league finals, lol. My favorite medal of yours is probably the Chicago Marathon lets run together one. I'd be curious to read a retro recap on your races, if you would write one up. WOW look at all your medals! I love it! All my high school and jr high ribbons and medals are in a box in the basement. I labeled them all so I wouldn't forget what they were from.